All seven episodes from the British television drama based on the novel by William Makepeace Thackeray and set during the Napoleonic Wars which follows the life of a young woman from humble beginnings. 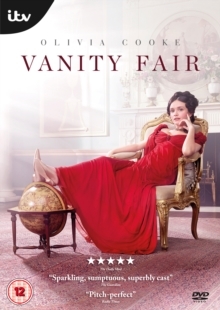 Becky Sharp (Olivia Cooke) endeavours to climb her way to the upper echelons of society and will stop at nothing to earn her place among the elite while she lies and manipulates, using her intelligence to further her social standing. The episodes are: 'Miss Sharp in the Presence of the Enemy', 'Miss Sharp Begins to Make Friends', 'A Quarrel About an Heiress', 'In Which Becky Joins Her Regiment', 'In Which Battles Are Won and Lost', 'In Which a Painter's Daughter Meets a King' and 'Endings and Beginnings'.